•	I will provide a performance guarantee. •	I will answer all your questions and concerns at every step of the way for your convenience. •	I will evaluate your home and offer best guidelines to sell your home at the best price and in the shortest time. •	I will provide tips for high impact staging of your home for potential buyers. •	I will advertise your home in multiple markets for the best exposure. •	I will cater to your specific needs and requirements to assist you determine the dream home. •	I will present available properties in a timely manner using all resources available. •	I will accommodate your schedule and make the process convenient to you. •	I will provide extensive knowledge and experience to guide you through the process. •	I will negotiate the best possible price for your affordability. •	I will provide cooperation, openness, sincerity and dependability. •	I will provide quality, accuracy, expertise and competency. Please refer your friends and family and call me anytime. Thanks. 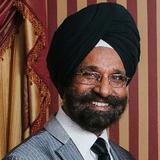 I confirm that I worked with Karnail Sandhu in the buying or selling of this property.